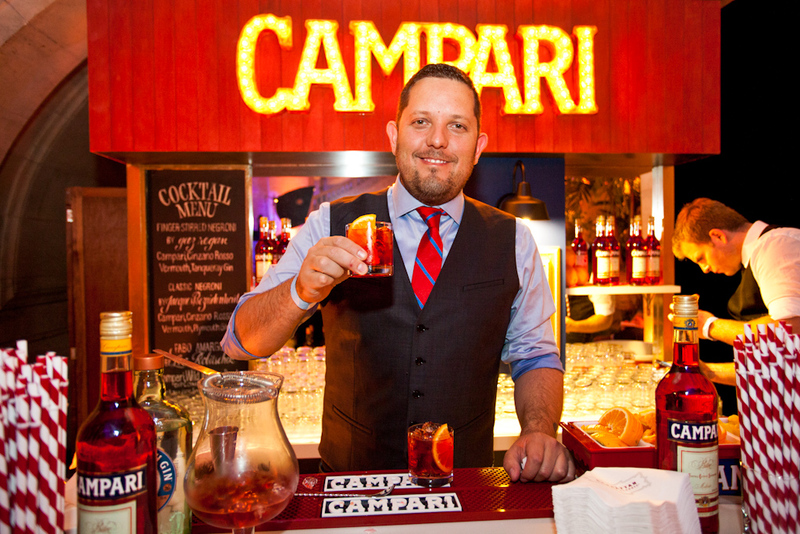 File Under: Hot Dates – Negroni Week! As the first steamy heat wave of the season descends on NYC, you’ll likely be reaching for a refreshing quaff to revive your tastebuds. Coincidentally, Imbibe Magazine has dubbed this week Negroni Week, May 27 to June 3. Not only will the classic Italian cocktail (1:1:1 ratio of gin, Campari and sweet vermouth) do the trick of cooling you off, but a handful of local bars (and nearly 100 across the country) will donate $1 from each drink sold to a charity of their choice. In Brooklyn, participating bars include Maison Premiere (Charity Water) and Huckleberry Bar (charity TBA), while in Manhattan, PDT (American Red Cross) and Amor y Amargo (Barman’s Fund) are pitching in. Naturally, bartenders are putting their own twists on the drink, using a variety of gins, vermouths and bitter aperitifs. Huckleberry’s take is a summery, delicate version including Carouun Gin, Cocchi Americano Rosa, and Salers Aperitif ($10). Combine vermouth and Campari in an ice-filled glass. Top with sparkling wine, stir to combine and garnish with a slice of orange. 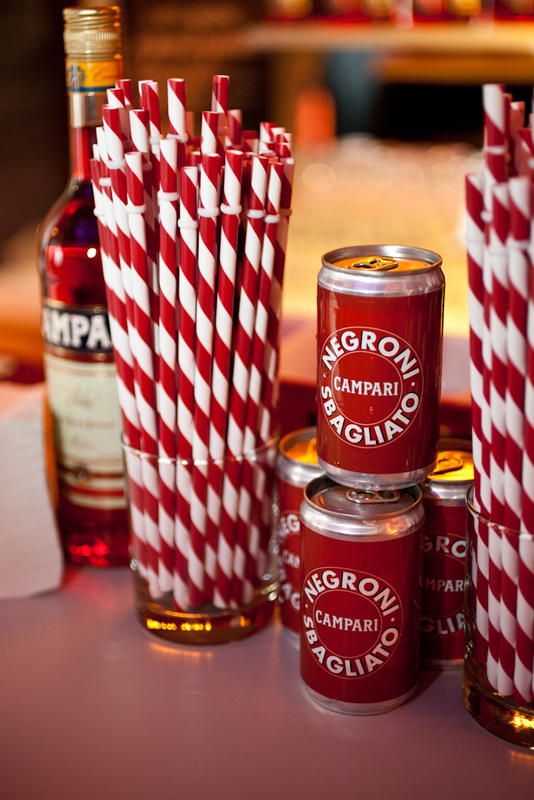 Campari’s genius canned Negronis. Photo by Virginia Rollison. 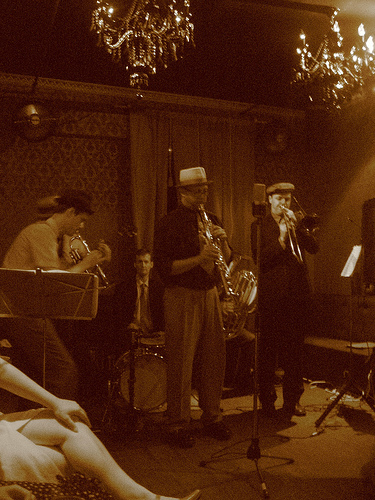 My apologies for not getting out the word sooner, but this is one of those events that was booked just as fast as it was announced: Eben Freeman’s Cocktail All-Stars kicks off tonight at the Monday Room at Public. Good luck getting in if you don’t already have a reservation, but those who have a table will enjoy “Things Eurasian: An Exploration of Ancient Flavors and Modern Science.” Dave Arnold, FCI’s directory of culinary technology, Tony Conigliaro of London’s 69 Colebroke Row, Eben, and Michelin-starred chef Brad Farmerie will create the drinks. Tomorrow night, the series hits Madam Geneva from 8 pm to midnight for “Old Shanghai on Bowery.” Featuring cocktails by Eben, Jackie Patterson of Heaven’s Dog in San Francisco, Jim Meehan of PDT, Alex Day of Death & Co., Ryan Magarian of Portland, Ore., and Misty Kalkofen of Drink in Boston, as well as passed canapes. Tickets are $58.88, contact Liz Boothroyd at 212-254-0350 to see if this event is sold out or not. And on Wednesday, Feb. 10, the series closes at PDT with “Old-Timers Night: An Old-Fashioned Experience.” Look for old-school sipping and stirring: only bartenders over 40, and no drink is allowed to include anything more than a base spirit, a sweetener, and one flavoring agent. All-Stars include: Gary Regan, Dave Wondrich, Dale DeGroff, James Menite, Tony Conigliaro, Toby Cecchini, and Eben. Tickets are $78.88 for food and drink, email cocktailallstars@gmail.com for tickets. Also on Wednesday, Feb. 10, Brugal Rum is hosting a love-themed cocktail competition at Clover Club in Brooklyn from 1 to 4 p.m. I’d give you all the details but new food and beverage site, InsideFandB.com, has done a great job already. Check it out! Whether you’re hooked up or single, The Summit Bar is looking to get you hot and bothered this Valentine’s Day, Feb. 14. Leave it to mixologist Greg Seider to mix up three stimulating elixirs for the bar’s “Love Punch Party” from 6 p.m. to 3 a.m. Aphrodisiac cocktails will be $7 all night–one for him, one for her, and one for those who want to swing both ways! And you won’t want to miss the Dining & Libation Society’s Fat Tuesday celebration at Rye House on Feb. 16. Tickets are $55 and will get you unlimited Sazeracs, French 75s, Stella Artois, and Red Hook beer while you dine on New Orleans-style hors d’oeuvres such as oyster bienville, crab ravigote, jambalaya, fried okra, crawfish po’ boys, turducken, fried pickles, and beignets, among other delicious eats. From 7 to 10 p.m. Taking over the old Matador space in Greenwich Village, Yerba Buena Perry stands to be a gem in the neighborhood’s cluster of Italian eateries. Chef/Partner Julian Medina (also the chef at Toloache and at Yerba Buena’s L.E.S. location) and Christopher Gilman have put together a Pan-Latin menu that includes a selection of ceviches and panko fries (including watermelon, which is succulent and crispy at once) as well as dry aged steaks. At the media opening party earlier this week, the new restaurant had the lively feeling of a Cuban-inspired nightspot, complete with live Latin music and a professional cigar roller on premise. Avocado green walls, dim Edison bulbs, a black-and-white checkered floor, and a sleek dark wood bar all added up to “date night vibe.” Behind the bar, Cervantes, previously of PDT and Little Branch, offered a handful of selections from his cocktail menu, all $12. The Pisco Mojito was a tri-colored treat. Muddled yerba buena (a species of mint) and lime were topped with crushed ice, Macchu Pisco, and bitters. Equally delicious were the Mezcal Maid (Scorpion Mezcal, muddled cucumber, lime, and yerba buena) and the Blackberry Gimlet (Tito’s Vodka, muddled blackberries, and lime). The hors d’oeuvres served were, as Robert Palmer would say, simply irresistable. In addition to the watermelon fries, highlights included avocado fries, manchego cheese croquettes with pickled jalapeno salsa, and yellowtail Baja style tacos that included pineapple, red onion, habanero peppers, and some sort of magical aioli type of sauce. It will still be a few days before I get the muddled recap on what went down at this year’s Tales of the Cocktail. To get an idea of how big of an event this 5-day celebration of the cocktail in New Orleans is, here are some stats: 15,000 people, 288 recipes, 6,000 pounds of ice, 85 pounds of mint leaves, 40 pounds of super-fine sugar, 15 dozen eggs, 280 liters of lime juice, 350 liters of lemon juice… You get the idea.